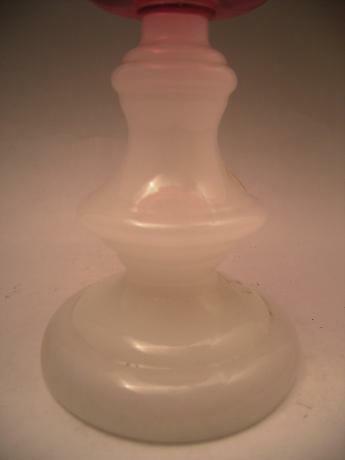 Description: Japanese early 20th century glass oil lamp. 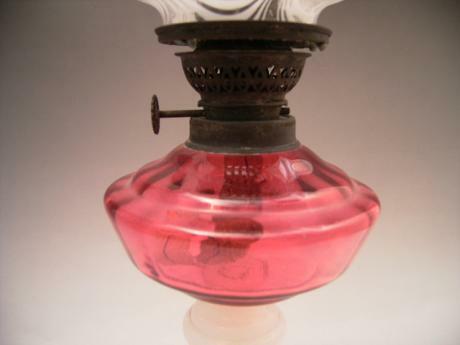 The beautiful lamp is made of formed and hand blown glass. 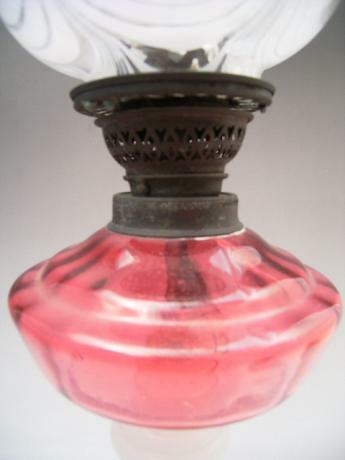 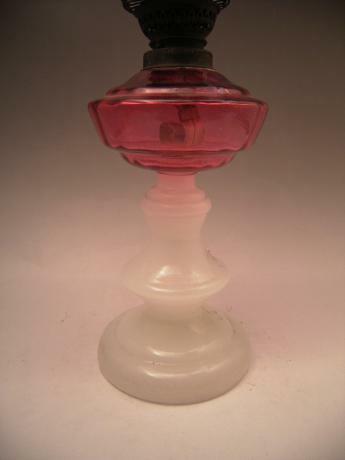 The base is an opaque white color, with the oil lamp portion being a clear fuchsia color. 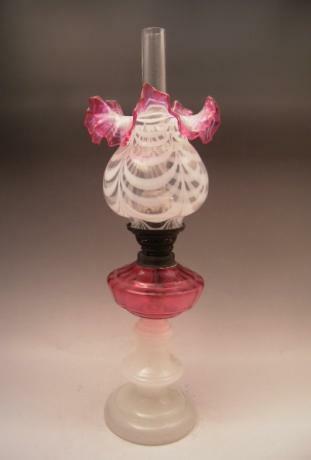 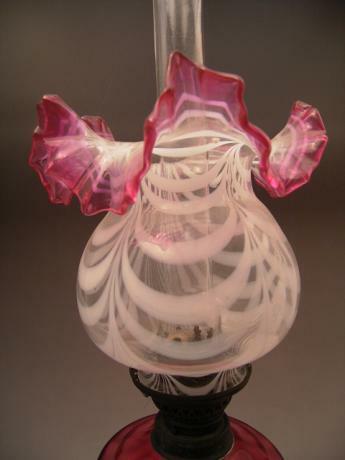 The glass shape is a clear glass with an opaque white scalloped design and clear fuchsia colored edges. 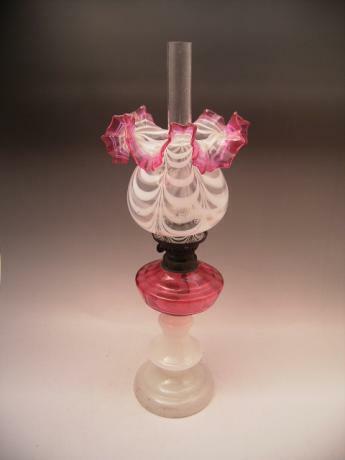 The lamp measures 20" tall and 5 1/2" in diameter at the base and also at the shade. 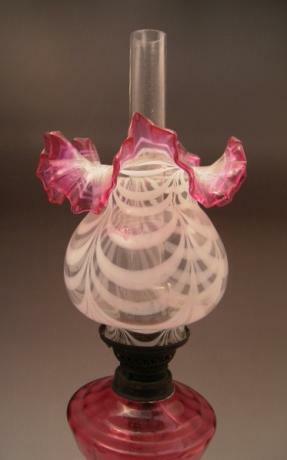 The glass for the oil has some old pressure cracks in it.